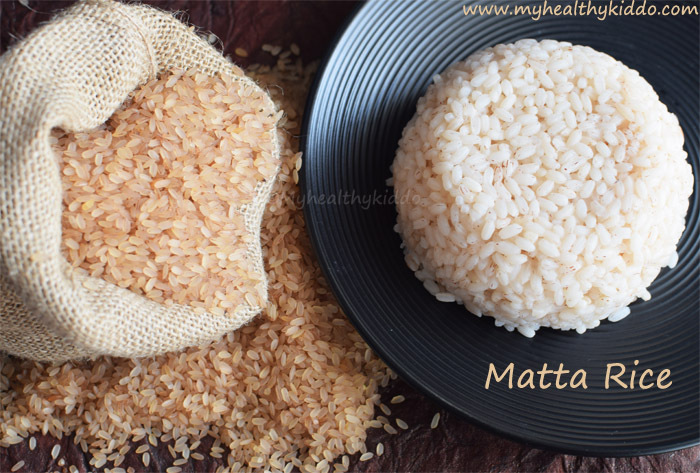 How to cook Kerala Matta Rice ? Cooking Kerala Matta Rice in Pressure Cooker – Mattai Arisi samaipadhu eppadi ? Kerala Matta Rice/Palakkadan Matta Rice/Red Parboiled Rice was considered a Royal food in Chera/Chola Kingdoms due to the richest nutrients present in it. Red-hued outer husk is the pericarp which is rich in minerals, vitamins and dietary fibre. This is removed in polished white rice. Polishes might look good on nail and face, but not in rice. I request my readers to switch to Matta rice for better health. My kid is eating this from 3.5 years of her age. Do initiate the change ! 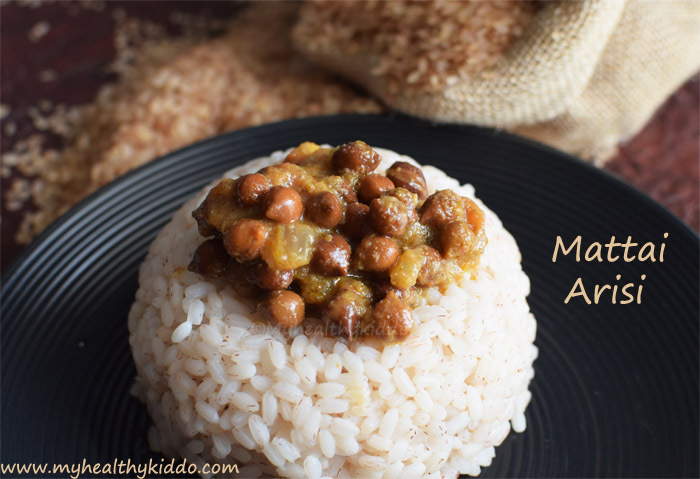 Calcium-rich Matta Rice is ideal for Moms-to-be, Pregnant ladies , Lactating moms and kids. 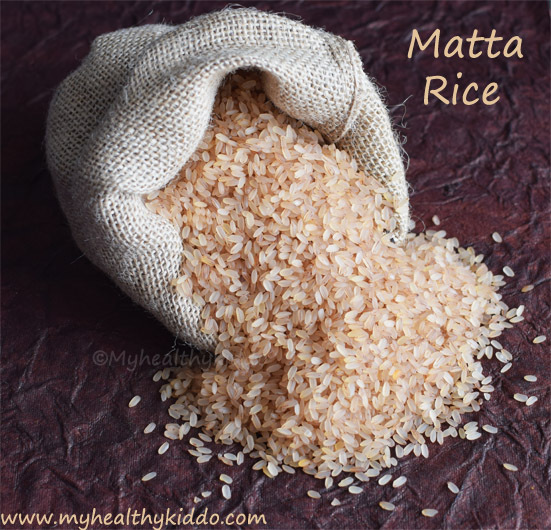 Protein-rich Matta Rice is good for dads-to-be and kids. I have used Kerala Kuthari Matta Rice for this recipe.. Preparation – How to cook Kerala Matta Rice using Pressure Cooker? 1.Take a cup of Matta Rice and wash twice or thrice. 2.Soak the Matta rice in lots of water for an hour, minimum. Take the soaked matta rice and transfer to Pressure cooker. Add 5 cups of water to it. 3.Close it, put on the whistle and cook in high heat(#8 in knob stove) for 1 whistle. Then, reduce heat to low-medium(#4 in knob stove) and cook for 15 minutes. Cut off the heat and wait for 15-20 more mins for the pressure to release naturally. 4.Strain the starch water as shown below. It will take 15+ minutes to drain completely. Serve the rice with any curry of ur choice ! Do not wash the rice directly in pressure cooker. Wash in another vessel and then transfer the rice to cooker so that any dirt or sand settles in water in the vessel. Do not double the water. Just increase 2 more cups for every more cup of rice. Also, use bigger cooker if it’s more than a cup of rice. If it is more than 2 cups of rice, I would recommend to cook in a vessel(with rice and water) inside cooker(with lil water in the base) to avoid overflowing while cooking.